Guided by the National Film Bureau, sponsored by the Shaanxi Provincial People’s Government and the Fujian Provincial People’s Government, the 5th Silk Road International Film Festival hosted by the Xi’an Municipal People’s Government, Shaanxi Provincial Press and Publication Bureau of Radio and Television, and Western Film Group Co., Ltd. on the 13th in Shaanxi The Grand Theatre held a closing ceremony, and the “2018 Golden Silk Road Media Honor” awards were announced. “UNDERDOG” (Meng Dog Wandering) won the Best Animation Film Award at the 5th Silk Road International Film Festival. 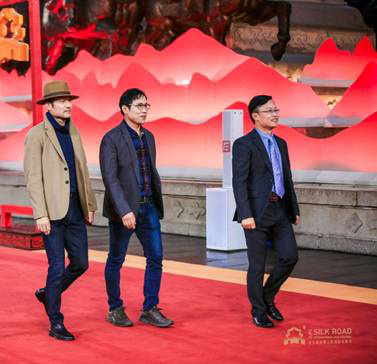 The Silk Road International Film Festival received 565 films from 68 countries and regions to participate in the awards. The number of invited countries, the number of films and the quality of the films have surpassed the previous ones, focusing on the international and Silk Road cultural characteristics of the Silk Road International Film Festival, further enhancing the international influence and brand influence of the film festival. The 18 films were finalists and the five awards were announced at the closing ceremony. Three films won the “Best Feature Film” honored by 2018 Golden Silk Road Media, namely the Chinese film “I am not a drug god”, Lebanon, Belgium, Cyprus, France, the United States co-production “Shame” and Norwegian film “No. Twelve people; the best cartoon was won by the Korean film “UNDERDOG” (Meng dog wandering); the Chinese film “Yellow River” won the “Best Documentary” award; the best actor laurel was the Polish film “Breaking Limit” In the middle of the Yakubu Gilza, the best actress is the starring Dasha Prati in the Ukrainian film “Going Forward.” The jury specially awarded the Russian film “Temporary Difficulties”. 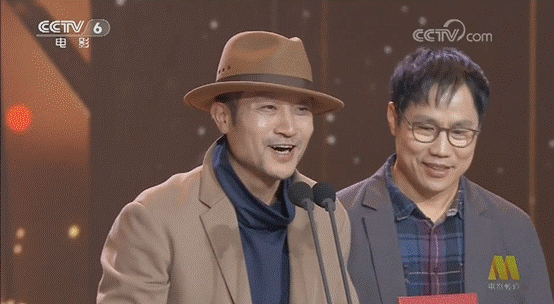 On behalf of the jury, director Xie Fei said: “We have had a very good time here. The quality of the finalists of this film festival is very high. We sometimes have some difficulty in choosing, so we have added a jury award. Congratulations and thanks to all the workers who participated in this film festival, and provided us with many good works. “UNDERDOG” (Meng Dog Wandering) has been produced for six years. With a unique perspective, it pays attention to the social problems of stray dogs. Through the wandering experience of the protagonist, the film returns the animal story to human beings, reflecting the Korean director’s Concerns about the theme of peace and love. The film was created by hand-painting original paintings, and the production team reached more than 150 people, showing the level of Asian animation production. In the movie, stray dogs facing life threats began to look for new life, and they gained friendship and love during the trip. Stray dogs represent the “weak in society”, and the film shows the process of the weak people working together to find happiness. 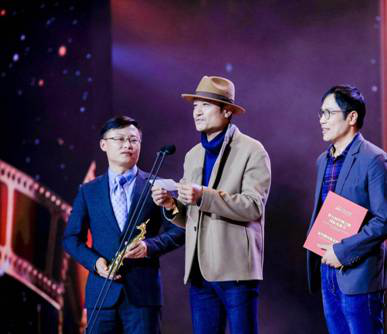 “UNDERDOG” (Menghua Wandering) director Wu Chengyun said at the awards ceremony that he had been to Xi’an for the cartoon theme 17 years ago. This time he was able to win an award. He hoped that this film could convey a friendship, peace and people. A world in harmony with animals. Director Li Chunbai expressed his gratitude to the Chinese filmmakers and hoped to express their understanding of love through this film. “UNDERDOG” (Menghua Wandering) Chinese investor Peanut Culture said that the film has broad market prospects and hopes to have the opportunity to meet Chinese audiences in the near future.